Some of us are born with ears that are not shaped correctly. This is more common than you think. One just needs to look at Prince Charles and you may feel you have something in common with the British royal family. Many children are teased in school due to the protruding ears. It bothers them a lot. Protruding ears can be corrected during childhood or during adulthood. Normal ears have a fold that sets it back close to the head. This fold is sometimes absent in children at birth. As a result of this, the ear cannot fold back and tends to stick out. Sometimes the cartilage in the central part of the ear is also too large and deep, making the ear stick out further. It commonly affects both sides but sometimes affects one side only. The problem can be more severe on one side and less on the other. Am I a Good Candidate for Ear Reshaping? You or your child are a good candidate if the ears are protruding or incorrect in shape. During the initial consultation, Dr. Panchal will examine your or your child’s ear and see whether there is any abnormality in the shape and size of the ear. He will also measure the extent of protrusion over the upper, middle and lower part of the ear. Call Genesis Plastic Surgery & Medical Spa at 405-340-9949 to schedule an appointment to discuss ear pinning surgery. We have offices in Edmond and Norman in the Oklahoma City area. The surgery can be performed under local anesthesia in our office for adults/older teens but requires general anesthesia for a child. The procedure takes one to one and half hours to perform. The surgery can be performed at any age after 3 years. It is not unusual for adults to come for surgery too. The surgery involves placing an incision behind the ear in the fold and involves removing some skin. The cartilage in the ear is scored to recreate the fold that was missing. The fold that is created is very natural and thereby making it very difficult for anyone to know that a surgery had been performed on the ears. How Is Dr. Panchal Different? Dr. Panchal has performed many of these procedures with a technique that is unique and involves scoring the cartilage in a specific way that allows creation of a fold that is rounded and looks just like a normal ear fold. After the surgery, stitches are placed to close the incision and a head bandage is applied to reduce the swelling. The head bandage needs to be worn for five to seven days. After that, a tennis head band can be worn for 10 days. No contact sports for six weeks are essential to prevent injury to the ears. When a ear reshaping surgery is performed by Dr Panchal, complications are infrequent and usually minor. You will have swelling over your ears which will take 7-10 days to subside. You can, rarely, develop a hematoma or collection of blood. If this happens, you may require an additional surgery to remove the blood clots. Infection is extremely rare after this procedure. Rarely, one ear may protrude more than the other by a small degree but generally the extent of asymmetry is minor. The swelling subsides very quickly following the surgery. There may be some tenderness on the cartilage for a few weeks. 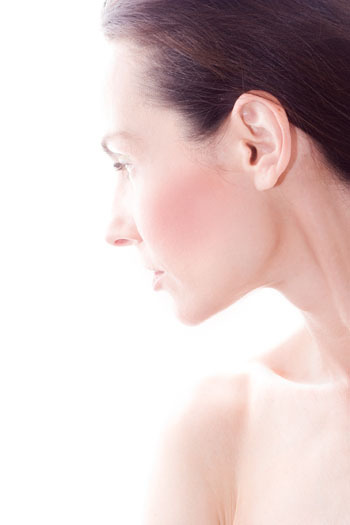 As the swelling on your ear subsides, you will start seeing the results of the surgery. You will see that your ear fold outline will be more defined and your ears will look normal and natural. You will look in the mirror and thank yourself for doing this for yourself.